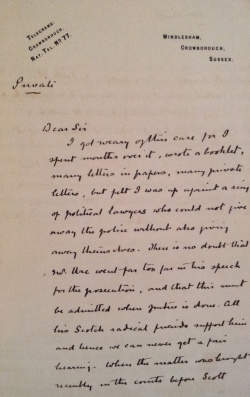 This letter was written by Arthur Conan Doyle from Windlesham, Crowborough, Sussex. The letter is about the Oscar Slater case. Undated. This page was last edited on 9 November 2018, at 17:38.